‘SSMMS’ (Spunbond x 2 – Meltblown x 3 – Spunbond) or simply SMS by Global Nonwovens is a 5 layered 100% Polypropylene nonwoven fabric manufactured using 5 beams. This fabric offers amazing benefits like fine filtration, low pressure drop, acoustic insulation and decent strength and elongation. 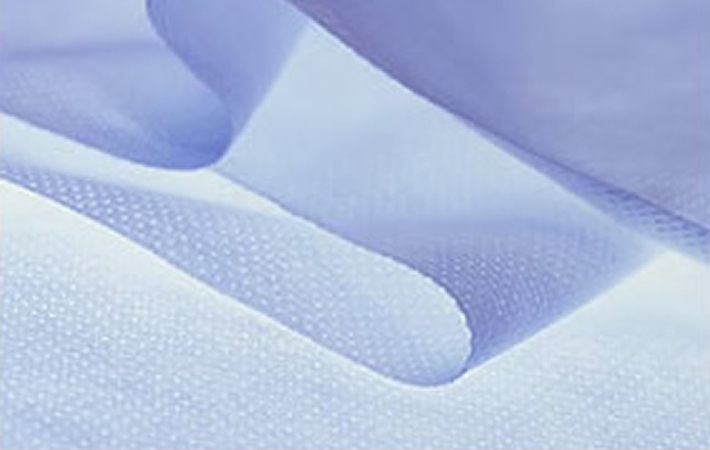 SMS or SSMMS fabric is widely used in the hygiene or medical industry to make disposable diapers, feminine care products, face masks, surgical drapes, surgical packs, surgical gowns, etc. This fabric is manufactured using the latest generation technology, ‘Reicofil 4s’ by Reifenhauser, Germany. Our fully automated production also line uses in-line camera testing technique for quality assurance and advanced robotics for packaging with least human contact. Global Nonwovens uses high quality raw material from only the leading global suppliers.